One Liner: How many VMs ? i am wondering if anyone here can help, i am after a script that give me VM name from window DNS name. for example i know the windows guest (DNS) name but want to find the VM for that in vmware. Need a script to search a set of hosts for a particular VM name and then power that VM on. My VCenter is a VM. I have a case where I’ve got to shut the entire enviroment down and then power the enviroment back on. 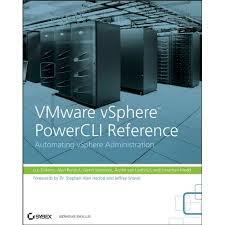 I’d like to script searching each host to find the VCenter server and then when it’s found power that VM on. For some reason this doesn’t work for hosts that have only one VM on them. The number of VMs in that case shows blank, as if there were no VMs at all on the host. How about listing the number of VMs per Resource Pool? Oh to be using V2 ! Im still on V1 here, nice one though.